Don’t you hate when you enter two separate homes and see the same exact furniture in each of them? 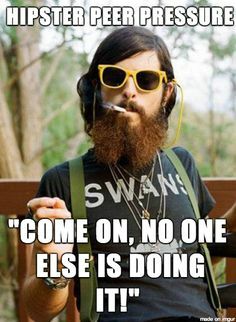 How mainstream. Hipsters always burn their tongues because they sip on their coffee before it’s cool, and now we’re going to expose the greatest furniture spots in Chicago so you can burn your tongue, too!!! Err… we mean find trendy furniture! Situated in Lakeview, this store is 10,000 square feet of one-of-a-kind furniture. They streamlined their furniture delivery process to get rid of the middle man, which makes their furniture all the more affordable. Their pieces are sourced from around the world, but easy to pick up, as they are available in local Chicago! 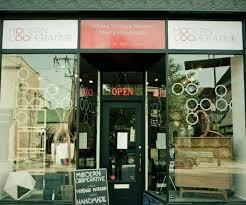 Modern Cooperative is located in Pilsen, right in the vintage shopping district. If you’re a fan of the Mid Century Modern style, this is the place for you. This store melds the best of the 50’s, 60’s, and 70’s with modern pieces. They strive to select artists that repurpose furniture or produce handmade furniture. This Humboldt Park gem brings in new inventory each and every day. If it’s eclectic that suits your fancy, this is the place for you! Aside from many Mid Century Modern pieces (known to be priced very reasonably) they also boast their selection of “textiles, ceramics, clean lines, oddities, housewares, barware, [and even] taxidermy”. You can also count on goods made by local artisans – meaning you won’t have to worry about seeing duplicates. For all things vintage, this Edgewater place has just about everything you could ever imagine. Going by the slogan “Recycling 1950 Since 1990,″ you could just as easily find a cool old school Bulls jersey as you are a 60 year old Eames chair in pristine condition. Expect nothing, find everything. Praha is so hip that they don’t even have a website. You’ll have to come on down to Roscoe Village yourself to browse through the aisles of precious goods they have to offer. Praha could be charging premium prices, but their aesthetic is to provide antique pieces in phenomenal shape for a bargain. Bonus: you know that weird smell most used item shops have? Praha don’t got it! Say Ni Hao to all things Asian inspired. Though this oriental favorite has two locations, that doesn’t keep the hipsters from flocking. Whether you’re looking for a special piece to outfit your home or interested in up and coming oriental artists, Pagoda Red will surely suit your needs. Come with the expectation to discover some crazy “finds.” You might, however, want to arrive early before everything gets snatched up, because this antique treasure hunt doesn’t happen every plain ‘ol day. 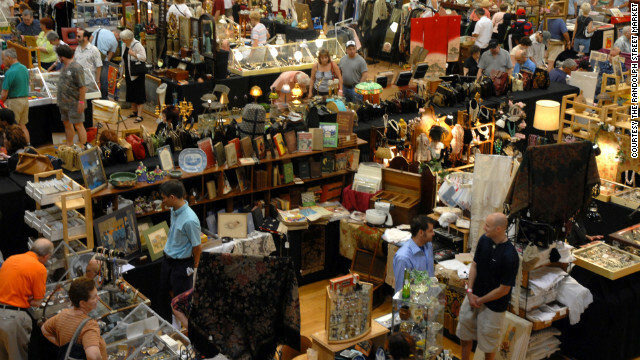 The next Chicago Antique Market is happening on March 28-29, Saturday & Sunday from 10am – 5pm. Plan your weekends, cause this market is Sundays only, 7 am to 3 pm. Bring your appetite and your furniture finding ambition, cause this flea market will satisfy all cravings. This site is a treasure trove for small trinkets and bargains galore that have a hint of international flair. You’ll have to check in monthly to see when this vintage garage sale happens. 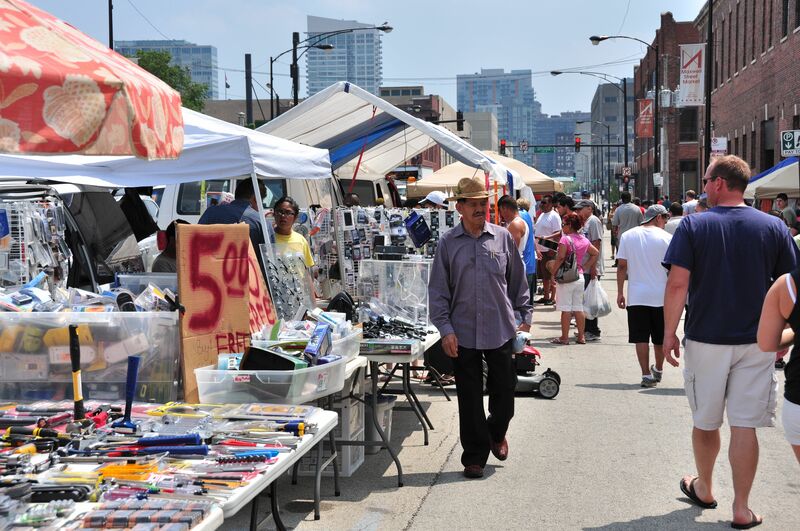 They feature a multitude of vendors from around the Chicago area, which you can browse for an admission fee of $5. It’s not just a place to buy cool antiques, but an experience! The next market dates are as follows: April 19, May 17, June 21, July 19, August 16, September 20 and October 18.